We regret to announce that the Society has now ceased as an active organisation. However, this website will remain in place for the time being. There will be a VNS lunch on Saturday, 24 June 2017 at 12.30 at My Old Dutch, Holborn, London WC1V 6PS. Anyone intending to come is asked to let Hilary Clare know as soon as possible at her new email address so that she can book a table. Violet Needham (1876-1967) was the author of 19 books for children published between 1939 and 1957. Although she came to writing late  she was 63 when her first book, The Black Riders, was published  her books achieved immediate and lasting popularity with young readers. For a full account of Violet's life, see our Biography page. Her novels, short stories and non-fiction works are listed on our Bibliography page, with her series on our Series page. 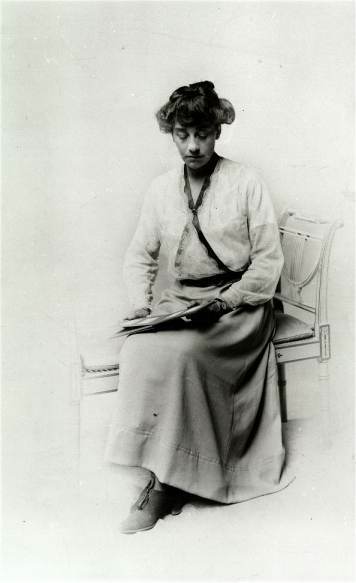 The Society was founded in 1985 in order to rectify critical neglect of the work of Violet Needham, and to bring together admirers of her books. It aims to to promote appreciation of Violet Needham's achievement as a unique writer for children by acting as a focus for research into her life and work, and by issuing little-known and previously unpublished writing by her. For more details of the Society, see our About the Society page.